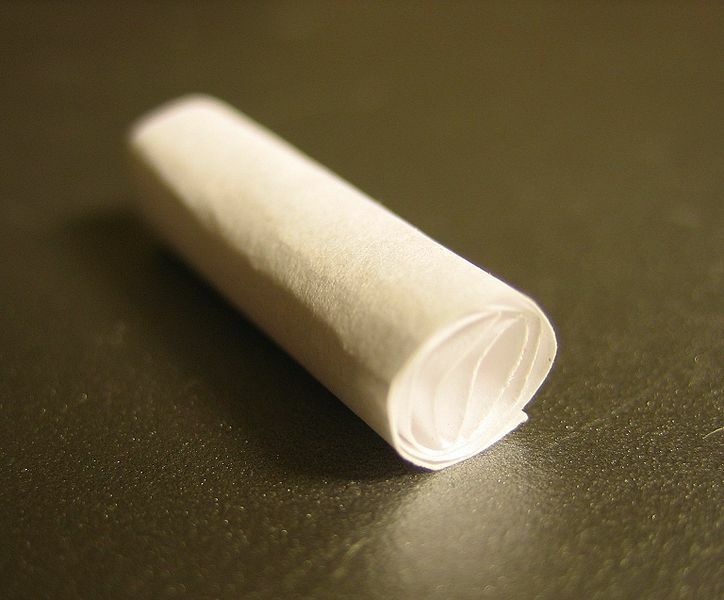 A filter for a blunt or a joint can be as simple as a rolled up piece of cardboard from the pack of papers. There are filters that are made and sold in tiny little tubes. Occasionally, there are even flavored filters, made of wood, that are sold in little tiny tubes (Which can also double as a sneaky way to transport a joint, for those of you who haven’t thought of it yet!). 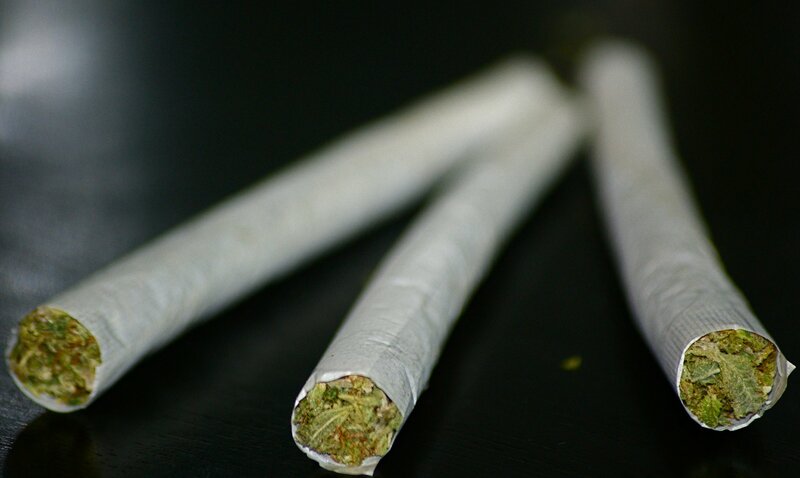 Some people look down on putting a filter on a joint or a blunt, saying that it ruins the taste of the weed and that, when properly rolled, won’t leave little bits of weed on your tongue after your hit. Filters have a few benefits. The first would be is that they create a sturdy spot where you can place your fingers when holding the joint/blunt, much like a cigarette. This study end also doubles as a crutch when someone gets slobber all over the end. With a non-filter, the roll would fall apart. With a filter, the joint/blunt has a little more stability if this occurs. It can also be fun to mix and match filters and papers, allowing you to create different tastes, as both products are sold flavored. There is also the idea that smoking a filtered joint/blunt catches some toxins, like the filter in a cigarette. 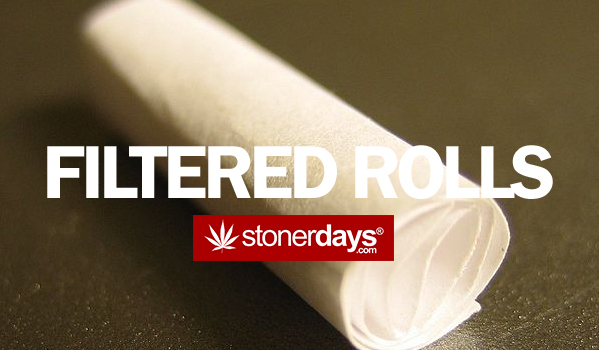 The cons of the filter would be the fact that if you roll with a filter in it, some would say that you’re wasting a piece of perfectly good rolling paper that could be filled with weed. It is true that the filters take up a good amount of space. What if you’re low on papers? With the wooden tips, a joint can easily get stuck inside the tip, preventing you from getting at the leftover roach stuck inside. This becomes a huge issue, especially once you run out of weed and the only thing that you have left is a roach that’s stuck inside of a filter tip. 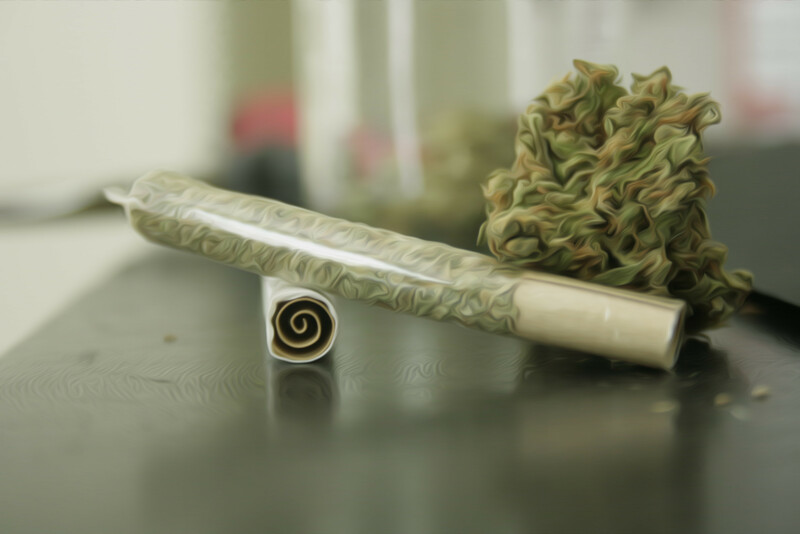 Using a filter can also prevent resin build up at the end of the joint/blunt. Have you ever noticed how the weed near the end turns that nasty brown color due to the smoke continuously passing over it? You know that some of that is going in to your lungs when you inhale. Using the filer prevents some of that nasty resin from entering your lungs, potentially making smoking a healthier thing. It’s recommended that you try a filter at least once. Worst thing that can happen is that you don’t like it!